Liam Fray Was In A Car Crash On His Way Into Radio X! Liam Fray revealed that the Courteeners would be headlining one of two dates at next year’s Neighbourhood Weekender festival… and he risked his own personal safety to bring fans the news. The frontman was involved in a car crash on the way to the Radio X studios in Leicester Square, where he was due to meet with Gordon Smart to announce the date. 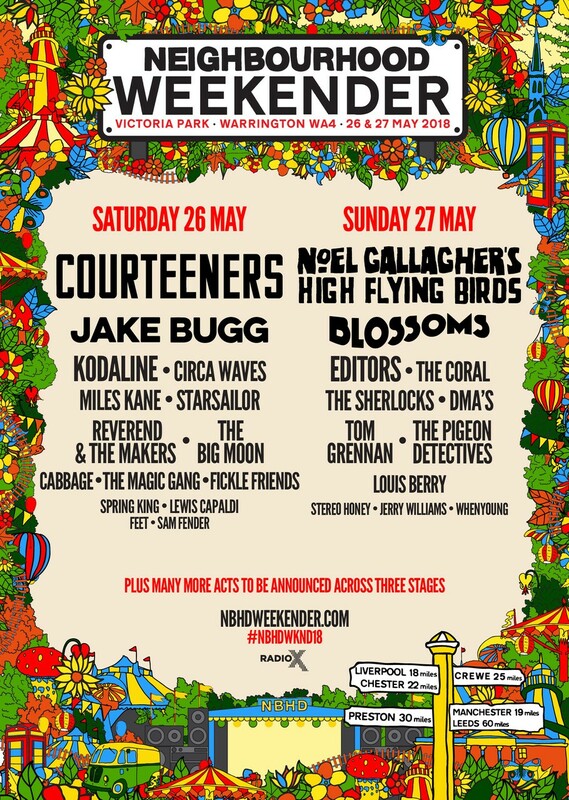 Liam was in the studio to announce that Courteeners and Noel Gallagher’s High Flying Birds have been revealed as headliners of next year’s Neighbourhood Weekender. Also performing across the weekend will be Jake Bugg, Blossoms, Kodaline, Editors and more. You can get all the ticket info - plus the full bill so far - right here.